The past month has seen the reputation of “Big Pharma” dented more than usual. The CEO of German pharmaceutical company Bayer, Marijn Dekkers, was reported as saying that the company didn’t develop a cancer drug for the Indian market, but rather “for Western patients who can afford it.” The comment summed up the attitude of the pharmaceutical companies towards the poor and succinctly described what is wrong with today’s research and development (R&D) system. In a similar vein, last month British/Swedish pharma company AstraZeneca announced it was pulling out of all early stage R&D for malaria, tuberculosis (TB), and neglected tropical diseases—all diseases of the developing world. Instead, the company stated it will focus efforts on drugs for cancer, diabetes, and high blood pressure, all diseases that affect rich countries, with potentially plenty of people to pay the high prices on new drugs. This system of R&D—which increasingly relies on patents, market monopolies, and high prices of drugs to recoup costs—is broken. We are seeing a complete lack of R&D into areas of real need, especially in diseases that affect the poor. The effects of this system on patients in developing countries is something that I—as someone who has worked as a doctor in some of the most remote areas in the world with Médecins Sans Frontières (MSF)—have witnessed for years. The pharmaceutical industry touts the need for strong intellectual property (IP) protections and patents as a means to secure funding for R&D needs. They say that without 20 year plus patent terms and the ability to have patents granted on even minor modifications on existing drugs—known as “evergreening”—we simply wouldn’t have innovation. And yet, incredibly, the industry is pulling out and stopping innovation in the areas of the greatest need. This trend is not new. Pfizer stopped R&D into all anti-infective drugs in 2012; in the same year, barely a third of the estimated funding needed for TB drug development was met. The need for new TB drugs and new regimens to treat TB—especially drug-resistant forms of TB—is increasing worldwide, including in some parts of Europe and countries such as South Africa and India. The lack of R&D for new drugs doesn’t only affect developing countries; wealthy countries are also faced with a huge gap in medical innovation. With the numbers of cases of antibiotic resistance on the rise in many parts of the world—including in western hospitals—there are, worryingly, few new antibiotics being developed. We are fast approaching the point, if we’re not there already, where people will develop infections that are resistant to all existing antibiotics, and we’ll have nothing effective with which to treat them. The problem is simply this: pharmaceutical companies like Pfizer, AstraZeneca, and Bayer lack the incentives to develop drugs like antibiotics that are only taken for a short period of time, or against diseases that primarily affect the poor. With an obligation to shareholders, pharma companies develop those drugs that will most enable them to achieve high sales in targeted lucrative markets. Typically, these drugs are for diseases that affect mostly people in wealthy countries who can afford—for the most part—to pay the high prices that come with a R&D system which relies on patent monopolies to recoup costs. Increasingly, we’re seeing not only the unavailability of drugs for medical needs, but also unaffordability when drugs are priced out of the reach of most people. The drugs that are developed today are priced so highly that even people in the USA, UK, and the EU—the very markets that Big Pharma are targeting—are unable to afford price tags such as US$84 000 for the new hepatitis C drug sofosbuvir, or cancer drugs priced at over $100 000. We have to ask ourselves—if the drugs being developed are priced so highly that no one can afford them, is society actually benefiting? The pharmaceutical industry’s response to criticism over high prices is that it costs a lot to develop these drugs. While this is undoubtedly true, there are two important points of clarification: first, a lot of the R&D behind successful new drugs is heavily subsidised by the tax payer—globally, about half of all R&D is paid for from the public purse and by philanthropic organisations. In effect, we’re paying twice for new drugs. Secondly, there is a lack of transparency from the pharmaceutical industry— so we don’t really know how much it costs, and how much this can vary. The industry often throws around the figure of $1 billion as the cost. Yet this figure is often questioned, even by one of their own; last year, GSK’s Andrew Witty called the $1 billion figure “a myth.” Other organisations have proved that it’s possible to develop new drugs for significantly less than $1 billion, and have no patents or high prices attached. For example, a non profit public private partnership used-up front funding to develop an artemisinin based combination therapy for malaria, which has no patent, is priced at less than US$1 and has seen over 250 million treatments used in 31 African countries. The private public partnership Drugs for Neglected Diseases initiative has estimated that development of a new chemical entity can cost as little as $50 million per successfully developed drug; with attrition and failure rates taken into account, it’s still as little as $200 million. Pharma has a vision for R&D—tough intellectual property rights and patents on new medicines, and high prices. But clearly, this approach doesn’t entirely work to deliver public health benefits. Our vision for R&D involves an overhaul of the current system. New drugs should be developed according to actual medical needs in a system that does not exclusively rely on patents and high prices to recoup costs. There are other ways to pay for R&D and alternative business models that can be used. It is essential these are further developed to ensure that innovators are sufficiently and transparently rewarded for developing useful products. It is possible to develop drugs for neglected diseases and diseases that affect the developing world. It is possible to develop new antibiotics and drugs where we aren’t forced to pay more than $100,000 for each patient treated. The system is broken; it’s time we fixed it—for the benefit of everyone, including the pharmaceutical industry. 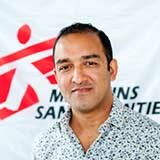 Manica Balasegaram is the executive director of the Médecins Sans Frontières (MSF) Access Campaign. Previously he was head of the Leishmaniasis Clinical Program for Drugs for Neglected Diseases initiative (DNDi) and has worked in MSF medical projects in Uganda, Sudan, Democratic Republic of Congo, Ethiopia, India, and Bangladesh.